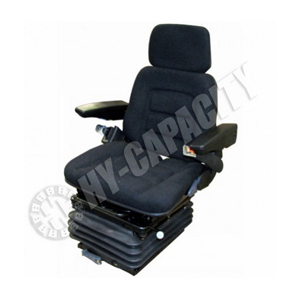 Bolt Patterns (width x depth): 10.25" x 10.5"; 10.25" x 11";10.25" x 11.5"; 10.25" x 12.75"
Ask us about the Hy-Capacity S830796 Black Fabric Seat, w/ Mechanical Suspension & Swivel. Please no repair questions. Your Q&A may be posted to Jackssmallengines.com to help other shoppers, like you, with their purchasing decisions. Thank you.